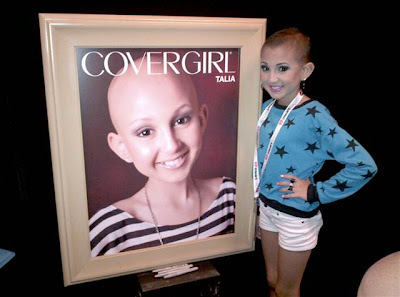 Talia Castellano, the miniature makeup maven with her own YouTube channel, clothing line and honorary CoverGirl ad, has lost her six-year battle with cancer. She was 13. The spunky teen gained attention after her YouTube makeup tutorials drew more than 40 million views. With her funny, candid personality and determination in the face of a grim cancer diagnosis, her vlogs quickly became about much more than just makeup. The fashion-obsessed Florida girl drew fans around the world, including talk show host Ellen DeGeneres. Last September Talia appeared on Ellen, where the host welcomed her to the CoverGirl family. “How do you stay so positive?” DeGeneres asked Talia, whose cancer treatment options, including a bone marrow transplant, were then running low.